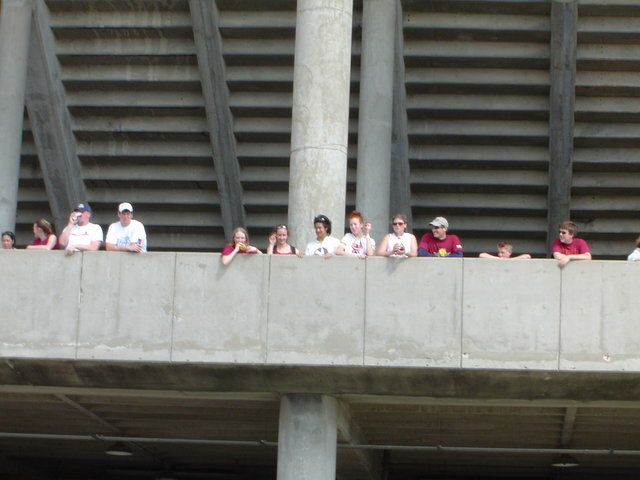 Members of the Will Rice team look on from the stadium as the men's race is about to start. Unfortunately, one of our riders crashed into the hay outside of a turn just as we were about to pass up the GSA, who went on to win the race. The sweep was so close!